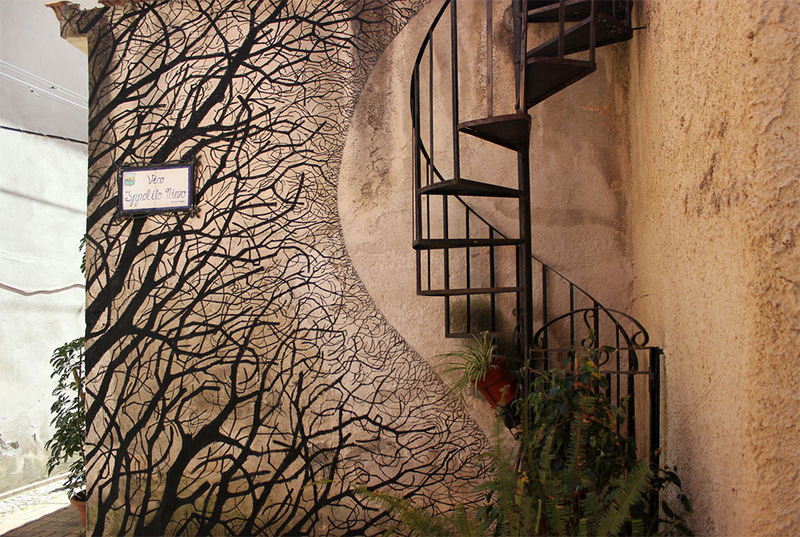 The duo of artists David de la Mano & Pablo S. Herrero uses only black paint to create creative murals – silhouetted figures of trees, whales, and human forms. These murals are located in different parts of the world – from Winter Haven, Florida to Gdansk, Poland. Take a look!